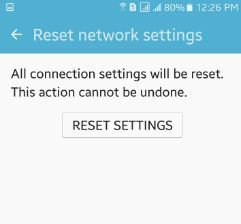 Reset network settings android phone or tablet. Fix your network issue and delete or reset all network information such as Wi-Fi, Bluetooth, mobile data and other network settings to their defaults. 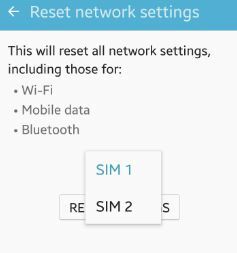 You can reset both of your SIM 1 / SIM 2 card settings using backup and reset settings on your android lollipop (5.1.1) and marshmallow (android 6.0) device. Also your android phone will be reset to its factory default settings except the security, language and account settings. 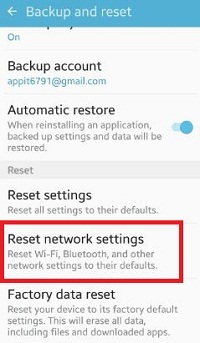 It’s easy to reset network settings android phone or tablet. This settings will not be affected your personal data and the settings of downloaded apps. 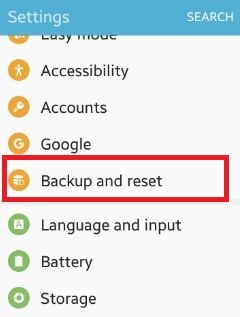 You can also use factory data reset to reset all your data including files, Google account, device settings, music, picture, downloading apps etc. Below you can see step by step guide to reset network settings android phone. Step 2: Tap on “Settings” app. In settings various option available. You can see above screen on your device. Step 6: Click on “Reset settings”. You can see pattern screen on your device. 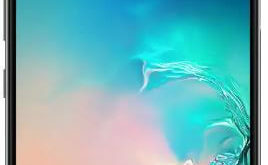 You can see this message on your device: All connection settings will be reset. This action cannot be undone. 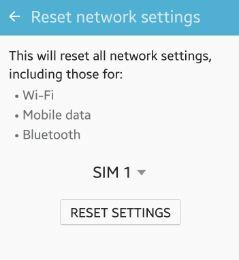 Now reset all network settings on your android phone like as mobile data, Bluetooth, Wi-Fi etc. That’s all. 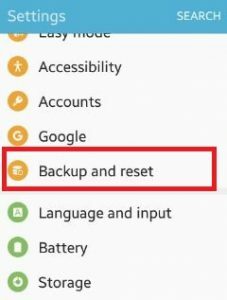 Did you find above process to reset network settings android phone helpful? If you have any problem when implement this trick then please let us know on below comment box, would be pleasure to help you. Don’t forget to share this trick with your friends. Stay connected with us for latest updates! Which phone you have? You’ll factory reset or hard reset your phone. Before perform factory reset, make sure backup your important data safely to other devices or PC.